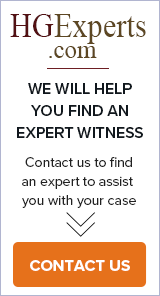 Insurance experts may consult and/or testify as expert witnesses regarding insurance claims, policies and coverage; standard of care by insurance adjusters, agents and brokers; insurance fraud; insurance regulations; and other aspects, in many types of insurance, including Property & Casualty, Life & Health, and specialties such as Marine Insurance or Workers’ Compensation. They may also address risk management and actuarial issues. Provided by Robert Hughes Associates, Inc. Litigation, trial and jury consulting for hearings, mediations, arbitrations, depositions and trials. Providing the power of persuasion in litigation. Making cases compelling for the decision-maker faced at each stage of litigation. Insurance & Reinsurance Advisory Services, since 2002 has provided expert witness services in all aspects of insurance and reinsurance matters and since 2007 can serve as arbitrator.